Boasts 31 Highway MPG and 27 City MPG! This Toyota C-HR has a dependable Regular Unleaded I-4 2.0 L/121 engine powering this Variable transmission. *You Can't Beat the Price with These Options *XLE PACKAGE (GRAY) -inc: Fabric A(Dynamic) Seat Material , SPECIAL COLOR, REAR BUMPER PROTECTOR (TMS), RADIO: ENTUNE AUDIO PLUS W/CONNECTED NAV APP -inc: high DCM, 17mm, T1, USB port and 6-speaker audio system (all destinations). 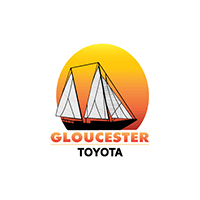 * Stop By Today *Treat yourself- stop by Gloucester Toyota located at 6357 George Washington Highway, Gloucester, VA 23061 to make this car yours today!